Three types of branches and one fruit make up the Four Species (Arba Minim in Hebrew, or just Lulav and etrog). These are waved when saying the Hallel and Hoshanas during the entire Jewish holiday of Sukkot (Tabernacles), except for on Shabbat. The costliest item of the four, and also the most fragile, is the Etrog (a lemon-like citrus fruit, also called a citron). Most of the etrogs have a 'pitam' – the traditional name for the little knob like extension at end which is opposite from the stem of the etrog. If the pitam falls, the etrog can no longer be used since it is no longer considered kosher. Therefore, has been customary to acquire a special box in order to protect the etrog. This 925 sterling silver box which is decorated with Italian scrollwork and lattice work will protect your esrog with style throughout the Jewish festival of Sucot. 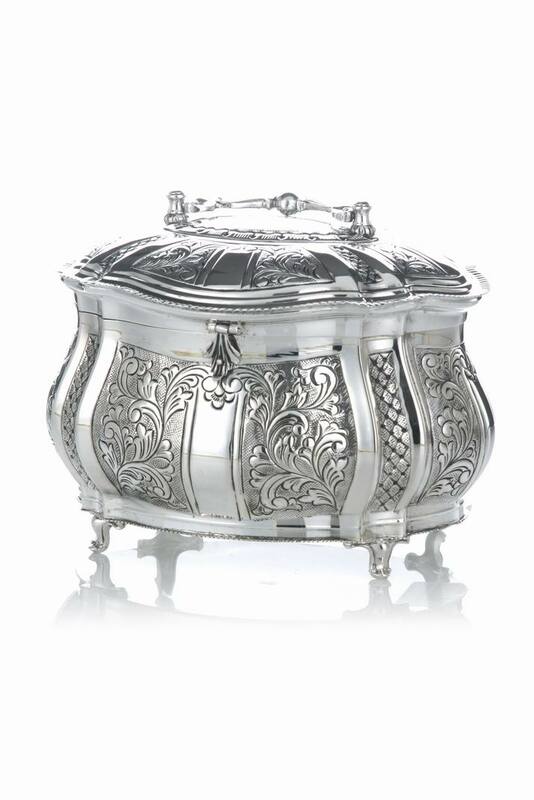 The box and its four small curved feet are entirely in Sterling silver. The very bottom of the box is circled by a narrow rope like design. The smooth silver band on the bottom, right above the rope, serves as a base for the ballooning shape of the container, which then curves inwards again towards the lid. The large panels are each etched with an Italian scrollwork design, separated by a smooth silver panel with narrow bands on the side which is topped by a flower. The smaller panels are etched with latticework, filled with tiny hammered points. The same design is repeated on the cover, which is also encircled by a smooth silver band framing the gently curved sloping dome. This band is also enclosed within the same very narrow rope design as on the bottom of the box. The cover is securely hinged to the box, and closes with an etched latch on the other side. Your comfort is ensued by the wide spaced handle attached to the cover.